Genesis10 helps you to evolve your workforce in a flexible and scalable model to address both short- and long-term needs. Let Genesis10 take your career to the next level. With hundreds of clients, we offer meaningful roles and projects, focusing on fit and professional success. We are a professional technology services firm that provides talent and solves workforce challenges. We fit where you need us, whether it is a specific capability to fill a gap on your team, an entire team to support a project or a team to provide support services to your organization. We are flexible and can support you onsite or onshore. To read more on how Genesis10 has worked with clients to address today’s workforce challenges, click here. Genesis10 helps technology professionals gain access to local and national career opportunities with marquis clients. Our recruiters and delivery professionals are highly accomplished career advocates who strive to know you beyond your resume to align you with opportunities that fit your skills, experience and aspirations. 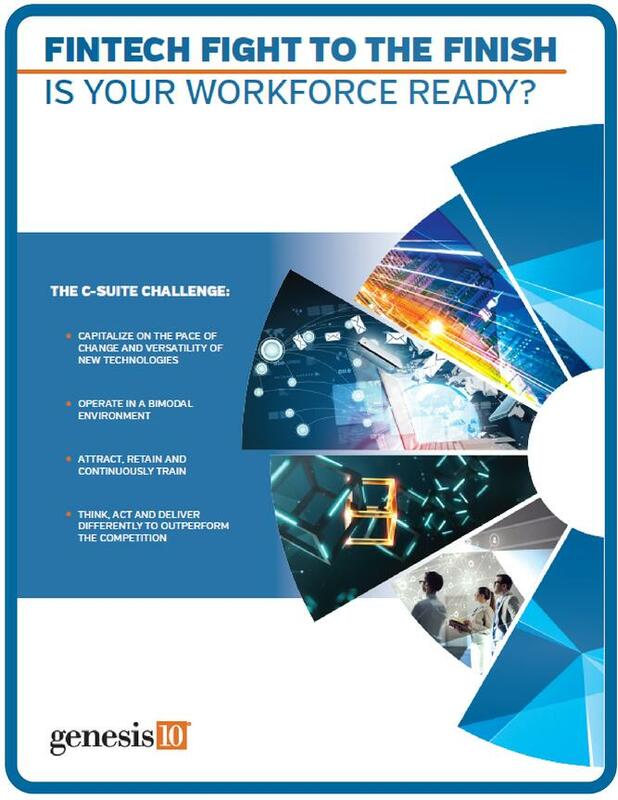 Solving today’s workforce challenges: Skills Shortage, Capability Gap, Capacity Constraint. Genesis10's services are designed to shore up immediate resourcing requirements while addressing long-term needs through training and strategic workforce planning. 1. Our services solve our clients' workforce challenges. 2. Our consultants achieve their professional goals and deliver the greatest value. 3. Our team delivers the outcomes our clients are committed to achieving. Copyright @ 2019 Genesis10. All rights reserved.